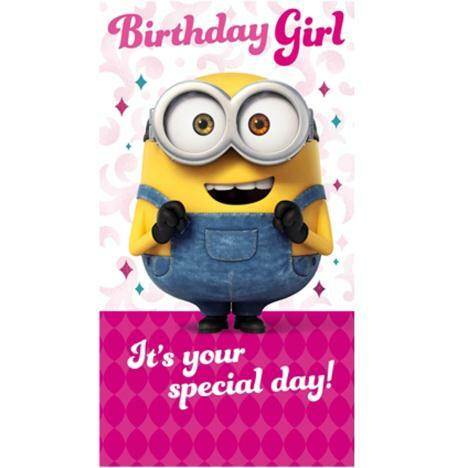 Birthday Girl Minions Birthday Card | Minion Shop. The message on the cover of this birthday card reads "Birthday Girl It's your special day! and the inside message reads "Have a fantastic time!"